For a trouble-free move to Orcutt, Meathead Movers is the company for you! Our professionally trained student-athlete movers are ready to get you into your new Orcutt home. The town of Orcutt was named after William W. Orcutt, who was the first person to discover fossils at the nearby La Brea Tar Pits. The town was originally founded along the Pacific Coast Railroad line as a home for oil field workers. Now considered to be a suburb of Santa Maria, Orcutt offers residents a more relaxed lifestyle than its big-city counterparts. 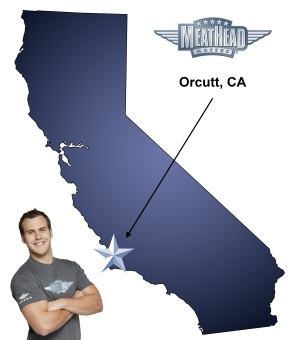 If you are planning a move to Orcutt soon, be sure to check out what Meathead Movers has to offer. Our goal is to make your move easy, and we ensure that our work is always of the highest quality. Unlike other Orcutt movers, we only hire the best movers. You won’t find any temporary help on our employee roster. We put all our movers through a rigorous screening and training process. Our movers are respectable clean-cut student-athletes, who don’t smoke or do drugs. Other moving companies will charge you by the hour and then try to stretch out your move as long as they can, but not us. Not only do we offer fixed pricing plans for long-distance moves, but all our movers will jog to and from where they need to be when they’re not carrying your items. You’ll never be able to accuse us of loafing around on the job! We offer several other services to help you get to your new destination. We offer support seven days a week, and our friendly staff is almost always on hand to answer your questions. If you haven’t packed everything up yet, consider our sister company, Princess Packers. All the ladies at Princess Packers have been professionally trained and can safely pack away even the most fragile items. We also offer our concierge service to get you in touch with electricians, real estate attorneys, landscapers, babysitters, house cleaners, carpet cleaners, or anyone else who can help make your old or new house move-ready. Meathead Movers is California’s top moving company for commercial, local, and long-distance moves. If you are moving to Orcutt, give us a call today to learn more about the services that we offer. Our staff will also be more than happy to give you a no-pressure, no-cost moving estimate. We also offer something that no other Orcutt movers can offer: a 100% satisfaction guarantee. So, what do you have to lose, besides moving stress. Give us a call today, and let us show you the Meathead difference. Moving to Orcutt? Here are some helpful resources. Only one negative, they left 2 big blue horse blankets in one of the pieces of furniture. wonderful experience … fast service !!!!! thank you !!! Time wasted dissembling and reassembling an antique desk that should have been spent on more essential matters. No boxes taken, and it was requested to have up to 20 boxes taken. Movers didn't really move fast enough early on, and then rushed to finish up at the end; as a result, the overtime could have been avoided. Overall, just over promised and under delivered.